Although Aceh is in chaos cause by separatist conflict, it still a very beautiful place with a lot of tourist destination. 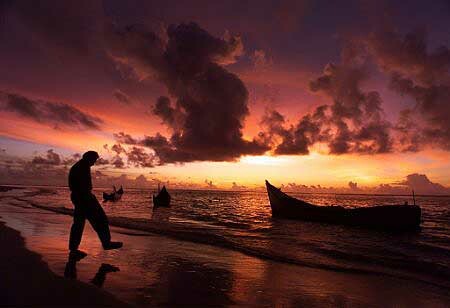 Aceh beach have a very amazing view, all the time. And don't forget to see all fantastic architecture from ancient time, such as The Great Baiturrahman Mosque. 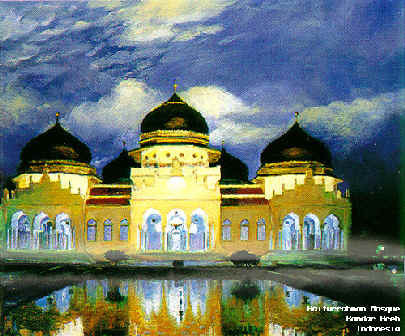 The Great Baiturrahman Mosque, Banda Aceh, Aceh. If you need travelers handbook, why not try this one; "A Handbook To Aceh", by Mahmud Bangkaru, Published by CV Penerbit Balohan Haloban, Banda Aceh, Indonesia. You can buy the book at in Jakarta at "Toko Buku Nasional", at Plaza Indonesia.